was an English painter of animal, sporting and historical subjects, especially military scenes. Born in London, he exhibited regularly at the Royal Academy, the Grafton Galleries, the New Watercolour Society, and elsewhere from 1878 until 1902, and many of his pictures were retrospective military scenes of the English Civil War and the Battle of Waterloo, such as For God and King: An Incident in the Civil War, and Gordons and Greys to the front: An Incident at Waterloo. 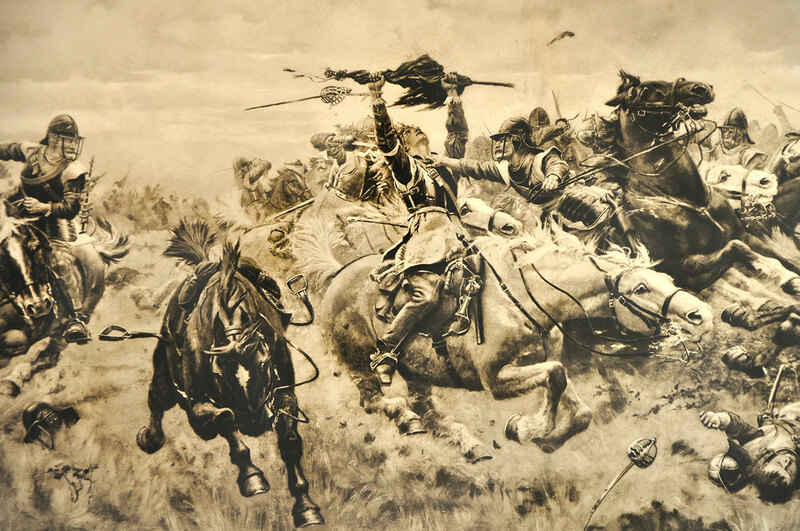 Berkeley also depicted contemporary events and several were published as photogravures by Henry Graves including The Victory of Candahar, Charge of the Gordon Highlanders at Dargai, Atbara, and Omdurman. 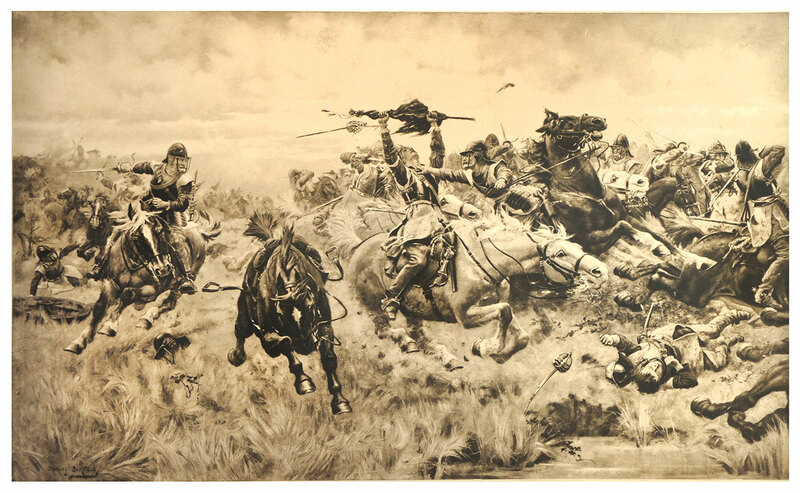 Some of his most popular pictures were representations of dramatic events in the Boer War. He also provided illustrations for various books, magazines and newspapers, and produced many works in water-color and monochrome. In 1884, he was elected a member of the Royal Society of Painters and Etchers for his illustration work. Berkeley married the genre and landscape painter, Edith Berkeley and they lived at Surbiton Hill, in Surrey, where he died on 24 April 1909. Stanley Berkeley (1855–1909) was an English painter of animal, sporting and historical subjects, especially military scenes. 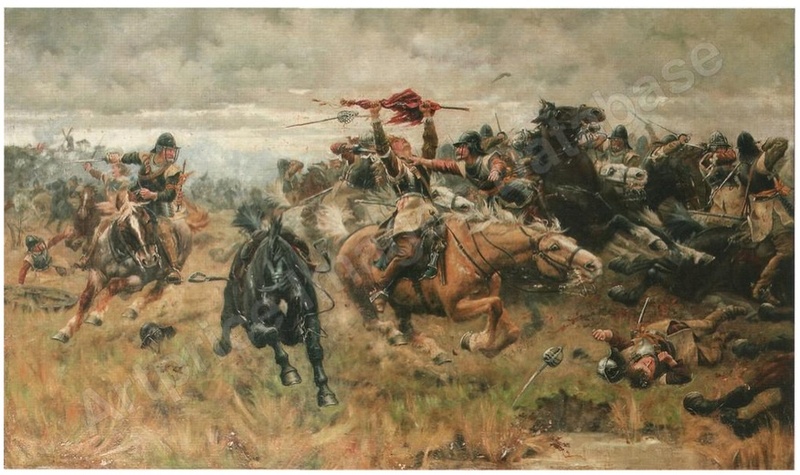 Born in London, he exhibited regularly at the Royal Academy, the Grafton Galleries, the New Watercolour Society, and elsewhere from 1878 until 1902, and many of his pictures were retrospective military scenes of the English Civil War and the Battle of Waterloo, such as For God and King: An Incident in the Civil War, and Gordons and Greys to the front: An Incident at Waterloo. Berkeley also depicted contemporary events and several were published as photogravures by Henry Graves including The Victory of Candahar, Charge of the Gordon Highlanders at Dargai, Atbara, and Omdurman. Some of his most popular pictures were representations of dramatic events in the Boer War. He also provided illustrations for various books, magazines and newspapers, and produced many works in water-color and monochrome. In 1884, he was elected a member of the Royal Society of Painters and Etchers for his illustration work. Berkeley married the genre and landscape painter, Edith Berkeley and they lived at Surbiton Hill, in Surrey, where he died on 24 April 1909. Harrington, Peter (1993). British Artists and War: The Face of Battle in Paintings and Prints, 1700-1914. London: Greenhill. Mortimer, R., "A Battle-Painter at Home: Mr. Stanley Berkeley and his Work," Windsor Magazine, Vol. X, July 1899, pp. 123–132. Obituary, The Times, April 24, 1909, page 15.